Family – World Joining Us! I participated in a wedding of my friend’s sister in Ho Chi Minh City. 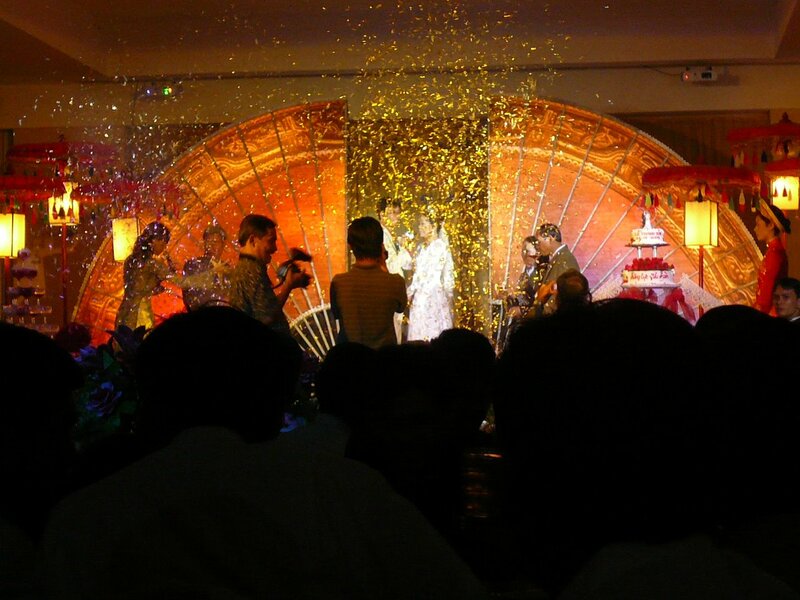 Over 600 people came to celeblate the couple. In this country, I felt strong connection between families sometimes. Most of people I met in Viet Nam live in the city far from their family. They showed me photos of their family and I could feel how important family for them. My friend’s father also visited HCMC to take part in the wedding and they looked so happy to see each other. However I did not see his mother at that time so I asked him the reason. At first, he said “I really don’t wanna see my mother.She should not come.” I was surprised because he was really looking forward to seeing his family. Then I became to know the reason he did not want to see his mother. Just he said “I have nothing now.”,means he doesn’t wanna see her till he can get something to show her in his life. “I know my mother really wants to see me because she said so when she calls me everytime. Of course, I wanna see her,too. But I don’t have anyting for her now.” Family, especially mother is special person for the son, I suppose. People in Viet Nam told me what family is. Most important thing and always love and care each other wherever they live.